Welcome to Mantra Aqueous on Port! 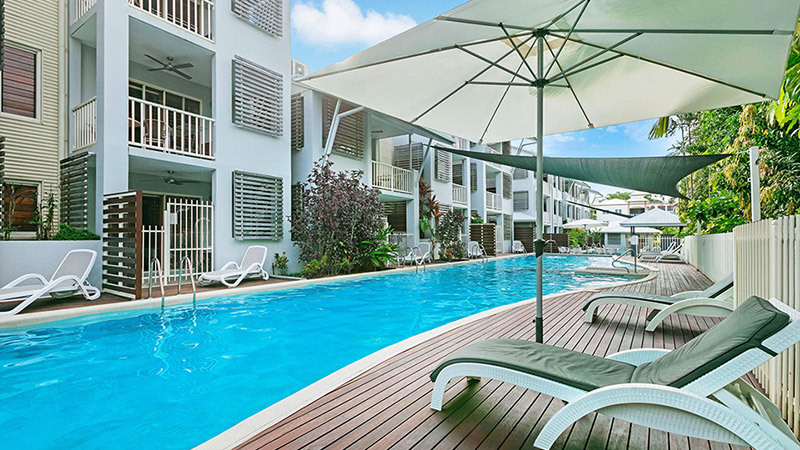 Located just off Macrossan Street Port Douglas, Aqueous is a stunning resort designed with a strong aquatic theme. 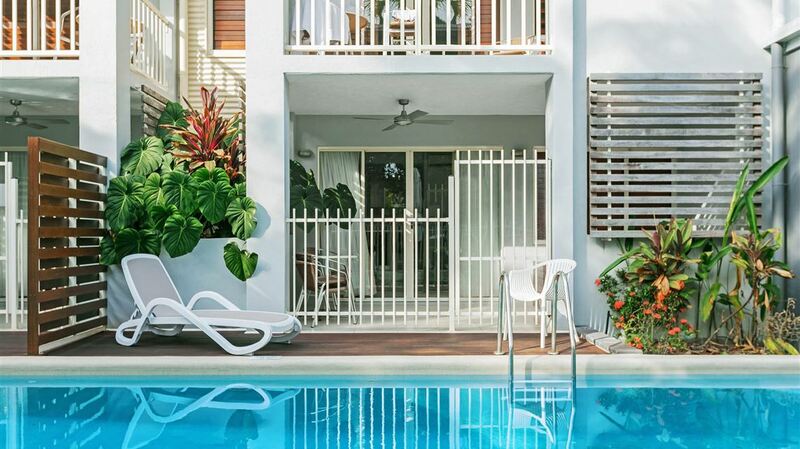 Careful planning, a sophisticated design plus a unique cosmopolitan flair have created a distinct tropical ambiance with a backdrop of the crystal clear waters of the Coral Sea. Imagine relaxing by one of the resorts 4 lagoon pools, cooking up a barbecue lunch or dinner and sitting back, enjoying your favourite cocktail, in the privacy of your spa on your balcony. It's all about the experience at Mantra Aqueous on Port. With a large selection of room choices from hotel rooms to 2 bedroom apartments, each offering fabulous views over our lagoon pools, what more could a holiday maker ask for? To make your stay in our resort unforgettable you can choose between our hotel rooms or self-contained 1 and 2 bedroom apartments. 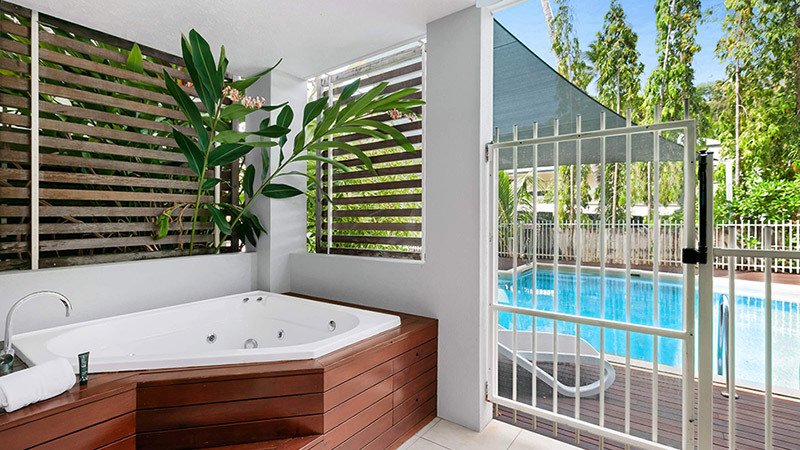 All apartments feature views over the lagoon pools and a spa bath on every balcony.